In a previous post, I mentioned that I once tried to write a graphic novel prequel to The Tempest. Sycorax Waning, as I called it, ground to a sad halt when my artist moved on to other things… but I still have lots of materials left on file – like concept drawings, back-stories and character profiles. 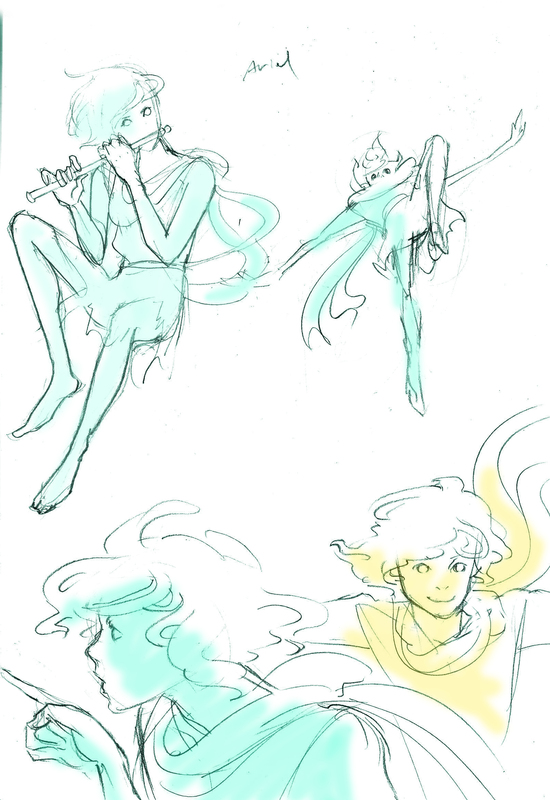 Concept art for Ariel, the androgynous spirit from Shakespeare’s The Tempest. It took me a long time to create a believable story that could precede the action of The Tempest. Many nights were spent poring over the play, working backwards in time to build a consistent “origin” tale for Sycorax the witch. I also read a great deal of Ovid’s Metamorphoses, as Sycorax (many will argue) shares a lot in common with Medea, the ancient Greek sorceress. 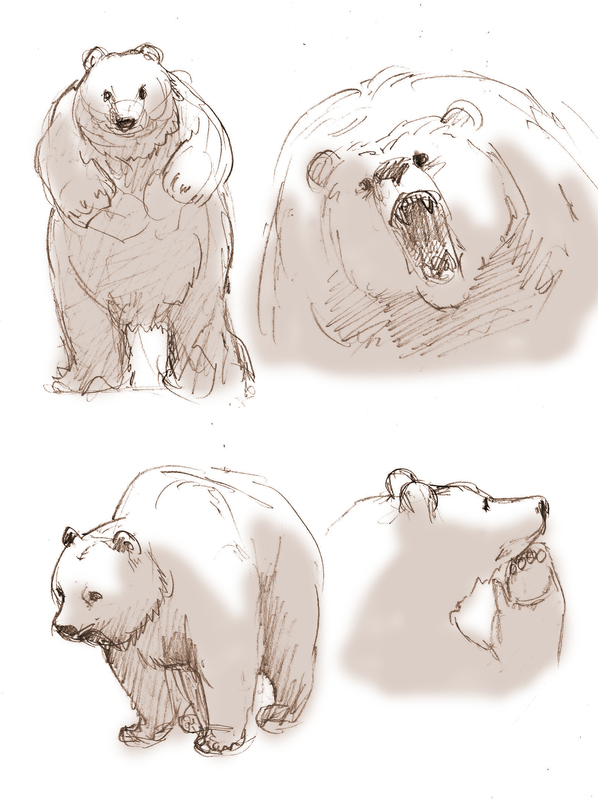 Concept art for Bruin, an original character I created for a prequel to The Tempest. I was pleased with the story that eventually took shape. I’m not going to post the full plot here, as I still hope to do something with it in the future. But I am going to publish the character profiles I wrote for the project. These contain detailed breakdowns of every single character in the prequel… and give a better idea of the kind of tale I was hoping to tell. 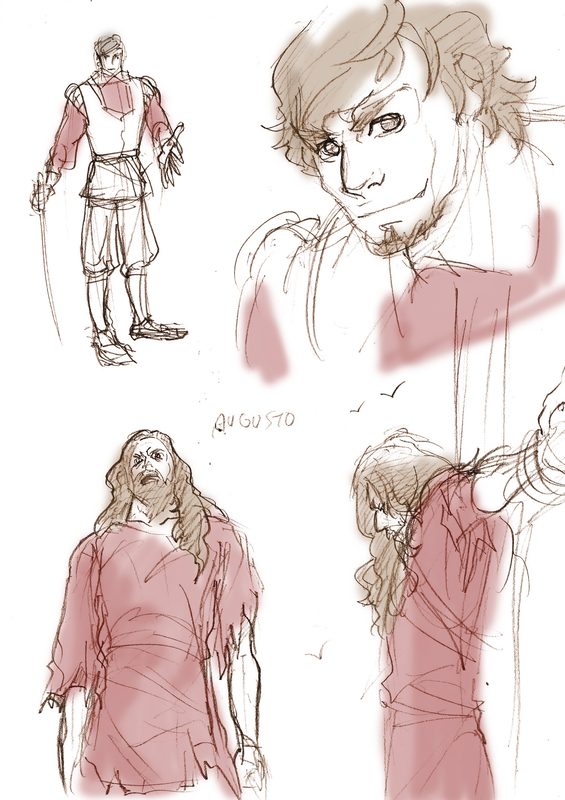 Concept art for Augusto, a 16th century Spaniard I created for Sycorax Waning. Let me know your thoughts on the cast of this fantasy Shakespearean prequel! Some day soon, I’ll publish the first chapter of the final script.